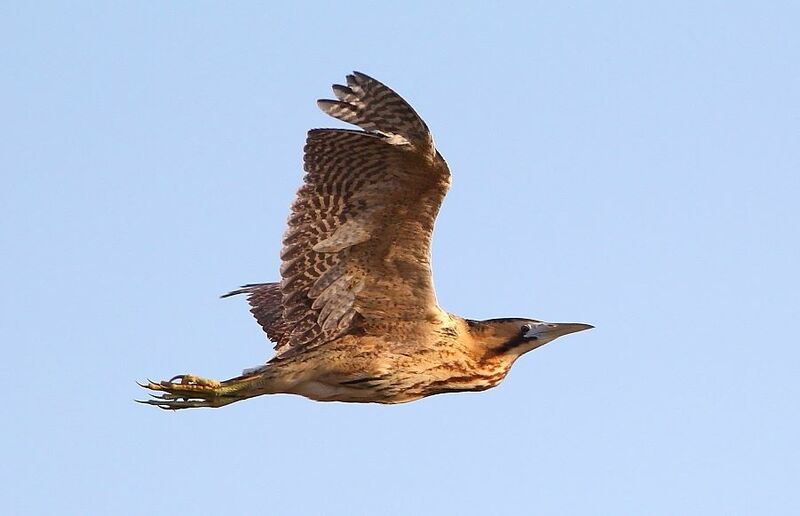 The bittern, a type of heron, is a secretive species of tall, wet marshy habitats, especially reed-beds. They eat a wide variety of prey, but predominantly fish and amphibians. They became extinct in the UK at the turn of the 20th Century through habitat loss, but after making a recovery in the 1950s they were nearly lost again in the 1990s. However, a second extinction was averted by some concerted conservation work to create new reed-bed habitats, especially in the Avalon Marshes. 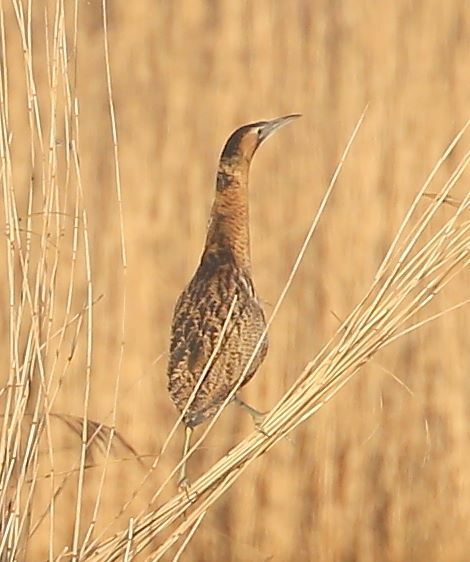 We now have one of the biggest populations in the UK, with regular sightings at Ham Wall, Shapwick Heath and Westhay Moor. Although they can be notoriously difficult to see, in early spring the males make their distinctive booming calls to attract a mate: once heard, never forgotten! 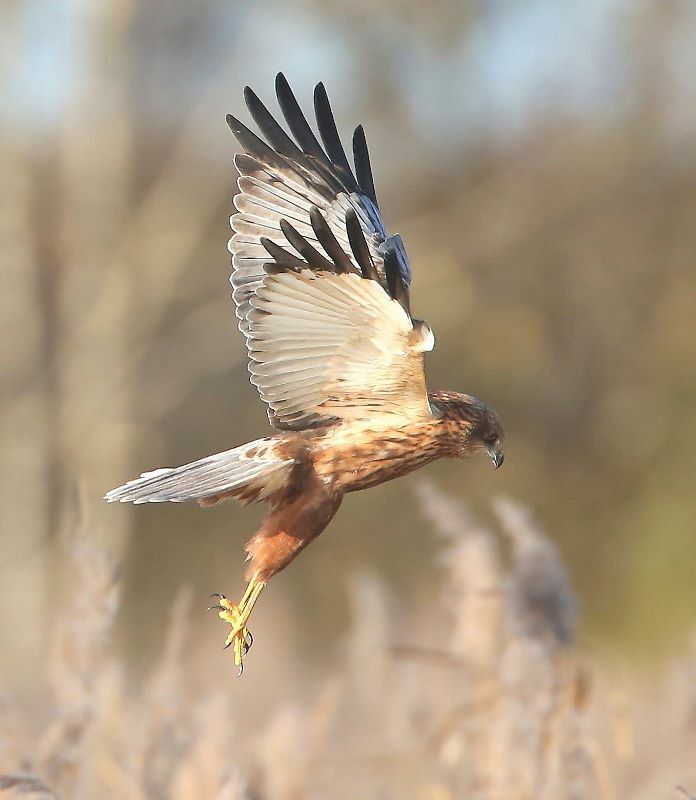 Easily confused with buzzards, marsh harriers are large birds of prey with broad wings and long tails. Plumage can be very variable, but look out for the grey wing patches on the males and the creamy heads of females and juveniles. They hunt by quartering low over the reed-beds with their wings held in a shallow ‘V’; watch for the panic they cause amongst the local duck populations when they fly overhead. Interactions between males and females, with their ‘skydancing’ displays in spring and food ‘passes’ in Summer, are breathtaking. 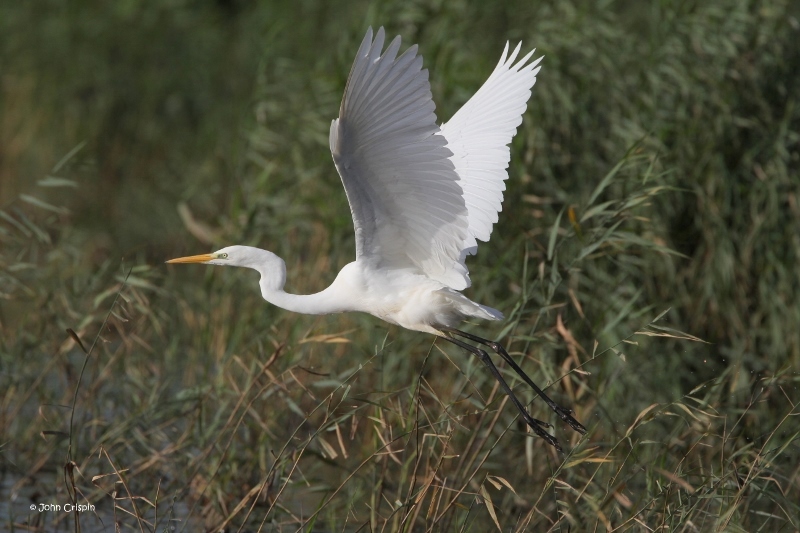 A relative newcomer to the UK, great white egrets, not to be confused with the much smaller and abundant little egret, caused a bit of a storm in 2012 when they nested in the Avalon Marshes. 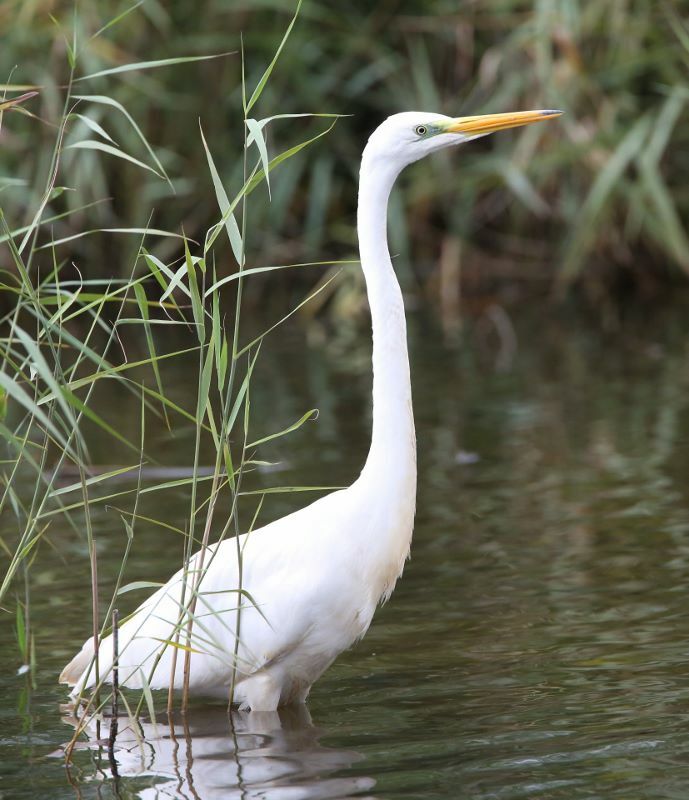 This was a first for Britain and attracted much interest nationally and in countries across the world where the great white egret is a much more common bird. 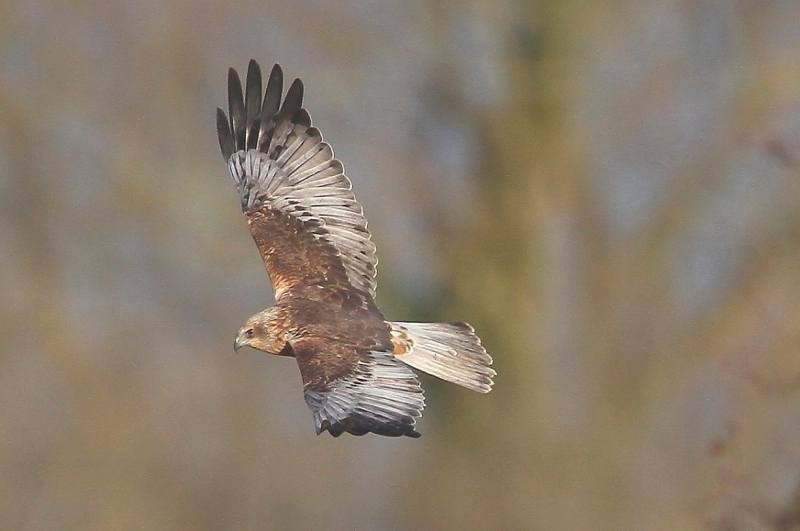 They are seen feeding regularly at the edge of reedbeds and in shallow water on our nature reserves. They are the size of grey herons – look out for their fascinating hunting technique of bending their long necks close to the water to get a closer look for potential prey beneath the surface. They also have beautiful long plumes down their back in the breeding season, which a century ago would have led to the bird being slaughtered for the millinery trade.